ON 07/15/16, AT 5:30PM, ROSEANN WAS LAST SEEN LEAVING THE AREA OF 39TH AVE AND PEORIA IN PHOENIX, AZ. 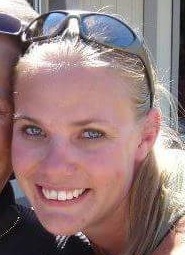 SHE MAY BE DRIVING A WHITE FORD ECONO E 150 VAN AND MAY BE POSSIBLY ENROUTE TO SOUTHERN ARIZONA OR NORTHERN ARIZONA TOWNS INCLUDING BUT NOT LIMITED TO NEW RIVER, CROWN KING/HUMBUG, AZ. EFFORTS TO CONTACT HER HAVE BEEN UNSUCCESSFUL AND HER FAMILY IS CONCERNED FOR HER WELFARE. Marks/Tattoos: NAVEL PIERCING. TATTOOS:LOWER BACK-SCORPION, RIGHT SHOULDER-WESTERN STYLE CIRCLE W/INITIALS ""R.W"